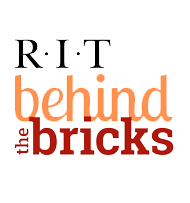 RIT has created a process for handling computer incidents to ensure that each incident is appropriately resolved and further preventative measures are implemented. Who does the standard apply to? The standard primarily applies to administrators of RIT-owned or leased computing devices. The standard also applies to users of personally-owned or leased devices should the incident involve RIT resources. The Information Access & Protection (IAP) Standard provides requirements for the proper handling of information at RIT. The standard classifies information into four categories: Private, Confidential, Internal, and Public. Financial account information (bank account numbers, checks, credit or debit card numbers), etc. Portable media such as USB keys, flash memory, CDs/DVDs, etc. are a crucial part of daily business. However, portable media is easily lost or stolen and may cause a security breach. Because portable media can be stolen or compromised easily, users should take precautions when using it to transfer or store Confidential information. We strongly discourage placing Private Information on portable media. Assign a password for web access to the printer. Why Have Document Destruction Activities?